Stephen believes in working with individuals through a holistic approach in providing a safe therapeutic environment and relationship. He focuses on providing individuals with a space for curiosity, self-discovery and self-awareness, when making sense how our experiences (past and present) have an impact on our daily lives. Stephen’s goal is to provide a meaningful and healing interpersonal relationship. University in 2014. He earned his M.A in Counseling Psychology from Southern Nazarene University in 2016. 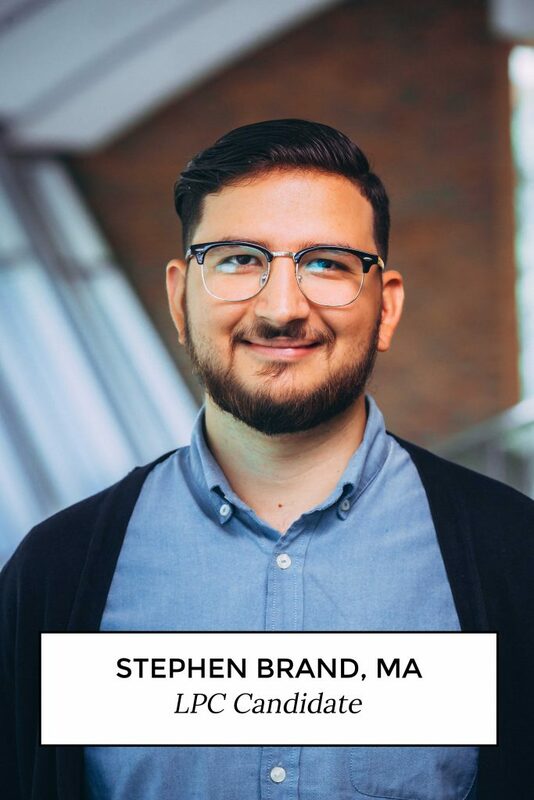 Stephen completed his clinical internship at St. Anthony’s Family Medicine Clinic as a health psychology intern and in private practice at Transforming Life Counseling Center. Stephen provides therapeutic services to individual, couples, and groups in outpatient settings. Stephen has experience and training in working with single-incident trauma, complex trauma, depression, anxiety, health psychology and interpersonal struggles. Stephen has an interest in working with people from different ethnic and cultural backgrounds.